Good Friday – what is the gift in the crucifixation of Jesus? What would you have done if you were at the foot of the cross? What would you do watching Him suffer and take his last breathe? But there is GIFT in His death ~ Jesus rose!! He saved us ~ we get to receive his GIFT of LOVE! 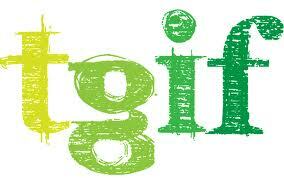 Take some time this Good Friday to reflect on the GIFTS that you have received in your life this past year. To balance your everyday life with your faith take a moment and contemplate what this Holy Week brings. Find time this week to pause and reflect on the gift of faith. Today is Ash Wednesday, which begins Lent for Christians around the world. As Catholics process forward to receive ashes on their forehead, they are challenged to “turn away from sin and be faithful to the gospel.” This can be very difficult for some. Sin is alluring, it’s deceptive and draws us in. Friends gossiping about someone…do we stand up or do we join in? 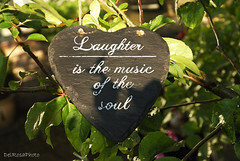 Inappropriate jokes…do we laugh or do we express that it’s not funny? Sunday mornings…do we ignore the alarm or do we head to church? Office cooler talk…is it degrading someone or lifting co-workers up? Is there a vise that is hold on to you…do you give into temptation or resist? Lent gives us 40 days to look deep within and listen to what God is calling us to change. He wants us to spread His Good News by how we treat the least among us. We have a love within us that can penetrate everything we do. We only use a small portion of our brains each day, I think we also only use a small portion of our hearts each day. There is so much love inside of us, waiting to be spread to others. Simply ways will beget enormous effects. So let’s begin simply…Stop whatever you are doing and listen to your breath…be thankful for breath. We have so much to be thankful for…breath, sight, mobility, family, friends, health, homes, food, freedom…add your personal thank you’s here…. Lent does not have to be about “giving up” as many people get in the habit of doing each year. It can be about “changing heart”, if you have given up chocolate every year, what about this year giving out thanks. Simple. And I guarantee it will change your heart. Open your heart during these 40 days. Let the love set deep inside expand and be shared. You will discover the true riches of life beyond your imagination! Sometimes life can be a series of “no thank you” or just plain “no”. Sam I Am from Dr. Seuss’ Green Eggs and Ham gets “no” throughout the whole book. But he keeps asking anyway. It appears that Sam looks at what the person needs and wants are then changes his approach. Would you like them in a box, with a fox; in a boat, with a goat? Finally, Sam is successful and the Green Eggs and Ham are tasted…and guess what! They taste great! He will eat them in a box, with a fox, in a boat, with a goat! He will eat Green Eggs and Ham, He will eat them Sam I Am. Maybe Sam is Jesus in disguise…I know I know, you think I’m really stretching it now, but hang on just a little longer. Jesus reaches out to us, over and over again. Sam was not annoying, just persistent. Jesus keeps calling us in, through our friends, and family; through the situations in our lives. He offers so many different faith that all led to His Father. He offers books, support groups, online community, prayer styles, local communities…how many different ways does He ask you to build a relationship with HIM? Jesus is persistent and loving, patience and gentle with us, but we must know that He is waiting. 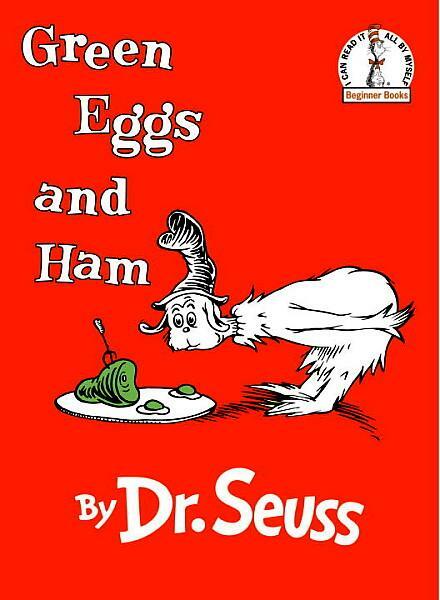 Some people think Green Eggs and Ham is about Sam pushing someone into tasting a different food. I think Sam is not pushy, he is creating rhymes and making the journey fun…never too far behind, always giving options. Then when you finally agree to taste the Green Eggs…WOW! It’s not what you expect. Finally agree to follow…and WOW! It’s not what you expect! Look at the book cover, he’s looking at it like he doesn’t understand what it could be, it looks foreign, it looks different. He hesitates, but then finally is satisfied. The perfect fit is out there for you, whether you are searching for a church, a support group, or a prayer style that fits for you…keep letting Him follow you around, like Sam, gently nudging and one day – WOW!